Graphic designer Mike Fischer and pal Barrett McClish had both just moved back to Cincinnati in 2009 after career stints on opposite coasts. 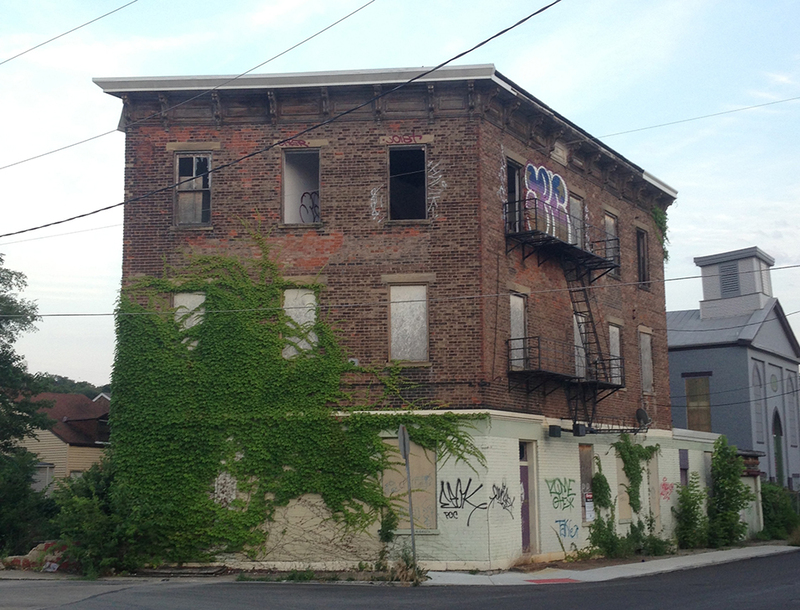 On a whim, the pair, along with then-business partner Tyler Zurick, purchased a neglected Northside home for $8,000 with the intent to flip it. (McClish has “a really strong mind for construction and mechanical things,” says Fischer). The group, who “had never done anything like it,” adds Fischer, spent a year gutting the place and rebuilding before selling it. “We made like $11 an hour for our troubles,” he says with a laugh. Still: “We decided to keep going.” 8K Construction, named for the price tag on that first house, was born. 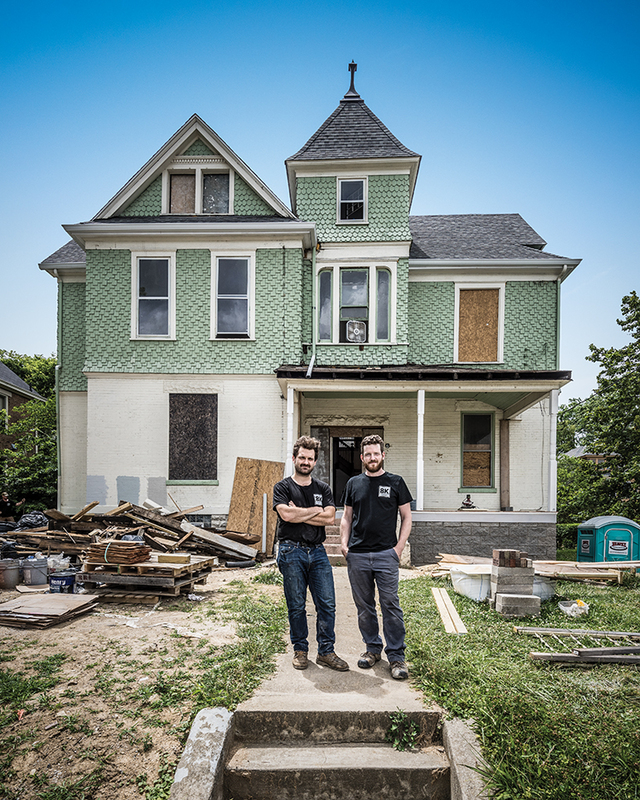 Michael Fischer (left) and Barret McClish (right) of 8K Construction, photographed June 22, 2017, in Evanston in front of a Fairfield Avenue home they’re restoring. Fast forward eight years. 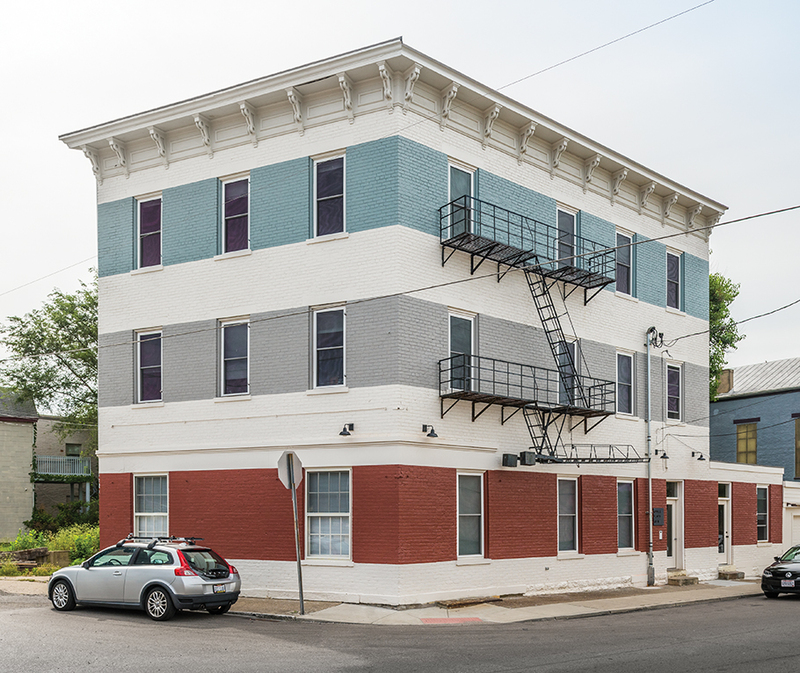 Fischer and McClish, who initially worked solely in Northside, are rehabbing their seventh project in OTR right now—“about our twentieth house” overall, says Fischer. 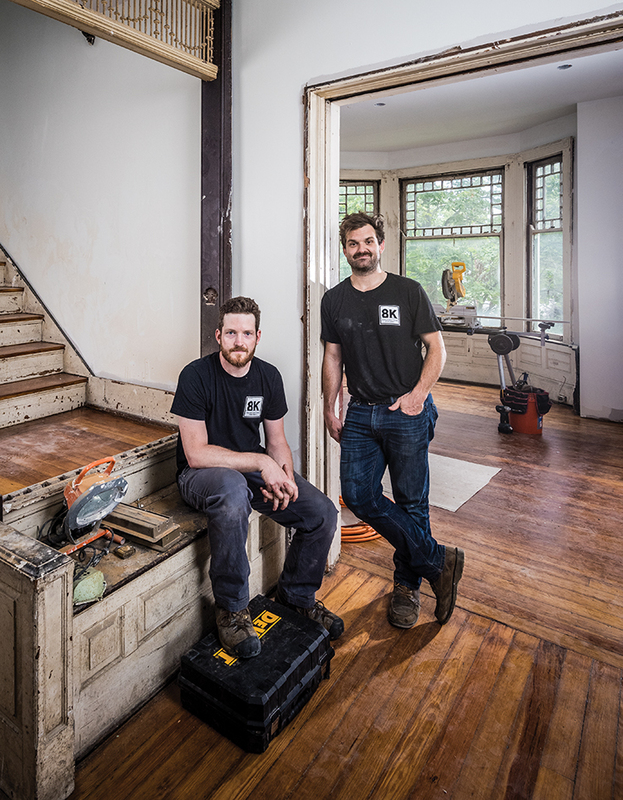 They’ve also grown from house flippers into self-described specialists in historic renovations of residential buildings, including multi-family, mixed-use rental properties.